Security – Keeping your home safe is your number one priority. Because your patio door can be a vulnerable point of entry, it is critical to have a quality locking system. We offer a variety of locking systems including single-point, multi-point, key lock and security bolt. All of these systems offer easy operation while delivering maximum security. Our locking systems are strictly tested for device stability, door panel removal resistance and strength. All our locks provide a sleek design for a stream-lined look and feel. Tracking system – Our sliding patio doors glide side to side over a state-of-the-art tracking system. Because they do not swing open or closed, as with hinged doors, they do not intrude on your interior or exterior living space. This makes for more convenient furniture placement and trouble-free indoor and outdoor foot traffic. Our wheels are made of a special material with high mechanical strength and stiffness. So, our doors will glide easily and silently while delivering outstanding wear and abrasion resistance. Our superior tracking system ensures a perfect slide for the lifetime of your patio door. 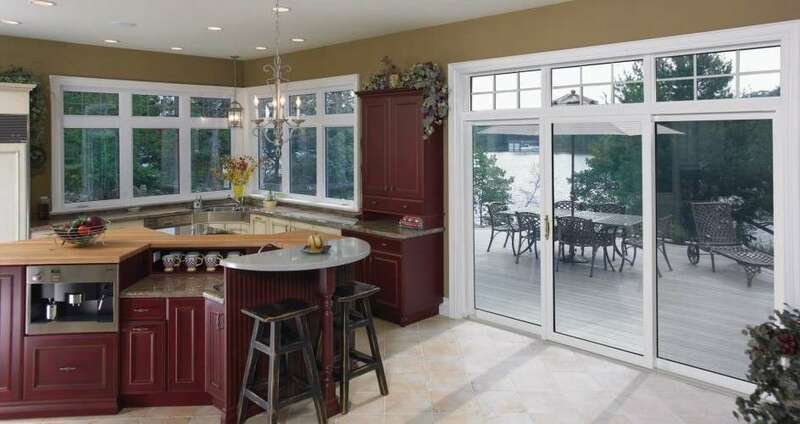 Premium glass – All our doors are built with tempered glass that provides enhanced safety. For increased energy efficiency, North Star offers optional energy saving Low-E glass that features a barely visible coating that minimizes the amount of heat lost through the glass while also optimizing incoming light. The spacer technology used in our glass resists condensation, boosts R-value and delivers maximum noise reduction. Fusion welding – Our sliding patio doors are manufactured using a process where every joint in the door sash is thermally fused together. This forms an indestructible seal. Fusion welding eliminates air and moisture infiltration while ensuring our patio doors give you long lasting strength. Internal Mini Blinds – North Star’s internal mini blinds are sealed between two panes of our tempered safety glass. Finger tip controls allow the blinds to be raised and lowered to adjust for light and/or privacy. This innovative system brings you convenience, comfort and style with no cleaning required. 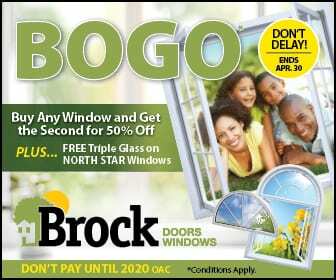 Brock’s patio doors are a perfect addition to any home. They come in customizable styles and configurations that can include transoms and sidelites. They are available in two, three, or four-panel configurations so they can fit any specifications. We also offer a wide range of accessories including wood or vinyl jamb extensions that make a seamless transition from the door frame to your interior finish. Visit our Toronto showroom today, to explore the quality of our Toronto sliding patio doors and discover all the benefits they will bring to your home.